Thinking about convenience, then the Yale smart door lock is perhaps what you need to consider for your front doors. These locks are as simple as they come. But do not mistake this for being lesser locks as they function just as effectively as the other smart locks and perhaps offer even more in terms of convenience and innovation. The Yale smart home locks give simple convenient and innovative locking solutions without the need of carrying keys. Go Key-less with these locks as they offer you freedom to secure your property and home without the worry of carrying around keys. Besides allowing the convenience of not having to carry around keys, the smart lock is a one touch control that makes locking and unlocking doors easy and fast. Its mode of installation is easy because all that is required is a simple fit and the door will be up and running in a short span of time. As if that is not enough, the lock comes with an alarm attachment that brings in the idea of security. The Yale keyless home lock is protected by an 80db tamper internal alarm that goes off when an intruder approaches or makes contact. It is no doubt that the Yale smart lock is the best option to securing your home and more so if you have close people that you wish to keep safe by limiting access. The lock allows up to a maximum of 20 users because it accommodates a mix of 20 pin codes, key cards and tags. This allows you to have your closest persons secure and having access to your home and completely restricting all the rest from access to your home. Get yourself the Yale smart door lock and enjoy all these benefits. By now you should be feeling safe being away from home. If not, well, here is something else. Yale keyless locks have an enhanced encrypted security that prevents unauthorized access. In this regard, you can settle wherever you are being so sure that no intruder is getting past your doors. The Yale locks are further convenient because they are powered by battery and thus do not involve the hassle of wires. This aspect further makes them easy to fix and replace in the event that they are broken down or have stopped functioning. In addition, these locks have user codes that control them by time. So you get a 24 hour pin code for all your visitors making sure you only let in the people you authorize. Perhaps the best way to describe the Yale lock is that these are locks that communicate with your entire home control system. That is actually another crucial advantage with these locks, they operate in a range of wireless systems of home control. While this Yale lock does the job well, Yale has proceeded to incorporate another model of locks called the Nest x Yale lock that is more secure. 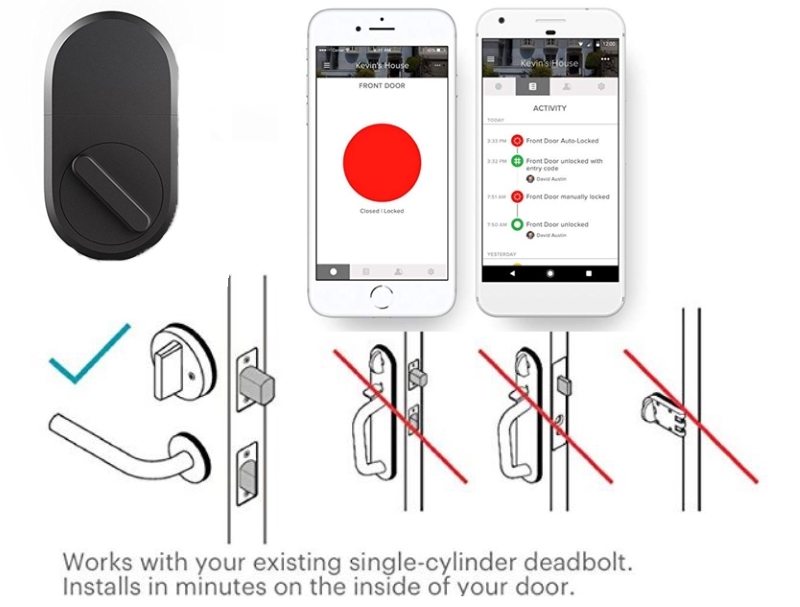 The lock combines the 177 years of Yale’s experience of making strong locks with the home technology of Nest to produce a secure, connected and convenient lock.